As I already indicated, I was under the impression that the quest for the historical Muhammad was a cul-de-sac. On the one hand, much criticism of the rationalized legend was fair: the lateness of the sources is indeed a problem and the presence of Christian soldiers in Islamic armies demands an explanation. However, it was obvious, at least to me, that the alternatives were worse, and I did not believe that we would ever come closer to what really happened in Mecca and Medina at the beginning of the seventh century. But I was too pessimistic. 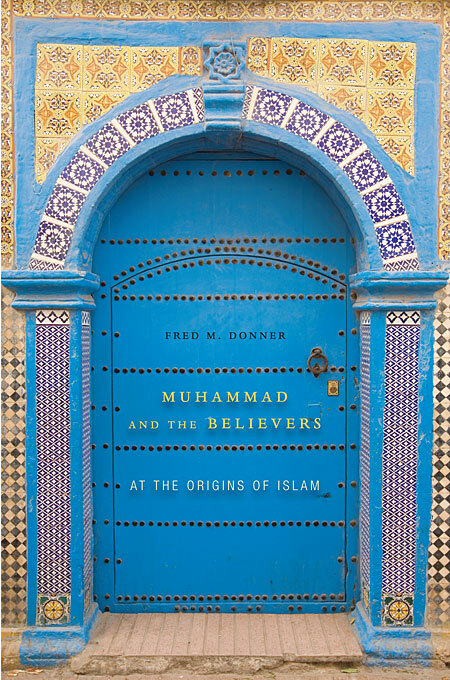 I just read Fred Donner’s recent book Muhammad and the Believers, which may be the equivalent of E.P. Sanders’ book on the historical Jesus, The Historical Figure of Jesus: a common-sense book on a religious innovator that, although not every scholar will agree with every aspect, will be well-respected and will dominate the field for quite some time. I am very impressed. This may be the new synthesis. According to Donner, Muhammad did not set out to create a new religion. He was a radical monotheist, who accepted in his band of followers all Jews, Christians, and Arabs who believed in one God. To these ecumenical ideas, the Believers added some doctrines of their own, but the main point was that at the end of times, which they believed to be near, only monotheists would be saved. They wanted to prepare the world for this Judgment, cooperating closely with other righteous monotheists. It was much later, in the early eighth century, that the Muslims became a new, self-consciously different monotheistic religion. Among the factors that contributed to this development was the fact that the Believers and other monotheists recognized that the ideas about God’s uniqueness and oneness, as maintained by the Jews and Muslims, could never be reconciled with the Trinitarian theologies of the Christian churches. Another factor, equally important, was a growing awareness that not all people would accept the Quran as the most important revelation or Muhammad as the seal of the prophets. The end of Islamic expansion may have contributed to this awareness: the conquest of Uzbekistan was extremely difficult and a crisis in Andalusia made it impossible to subject the Frankish kingdom – but this is a point that Donner does not digress upon. He tells his story well. I really liked his book, not only because of the general thesis, but also because along the road, Donner makes a lot of extremely illuminating remarks. When we discuss the great conquests, he says, we must assume that diplomacy was more important than we can deduce from our sources. He may be right: perhaps, the battles were just violent interruptions of a mostly peaceful process of conversion to ecumenism. The main destructions, at least, seem to belong to the terrible Byzantine-Sassanian War (602-628), and appear to be unrelated to the wars of the Righteous Caliphs. Donner does not stress it, but people may indeed have become Believers because they were sick of Byzantine and Sassanian violence. They may have regarded the conflict as one of the tribulations of the end time. Apocalyptic ideas, Donner correctly observes, were still very much alive at the end of the seventh century, and he is probably right when he proposes that the Dome of the Rock was meant to be “the locale in which [Caliph] ‘Abd al-Malik (or one of his successors), as leaders of the righteous and God-fearing empire of the Believers, would hand over to God the symbols of sovereignty at the moment the Judgment was to begin”. The idea that the Believers were originally ecumenical monotheists is simple. Reading the book, I found myself wondering why nobody thought of this before. But now that Muhammad and the Believers has been written, it is hard to think differently. It explains why Christian soldiers joined Arab armies and why, as late as 800, a Zoroastrian could be tax collector in northern Mesopotamia. We need new questions to proceed beyond Donner’s fine book.